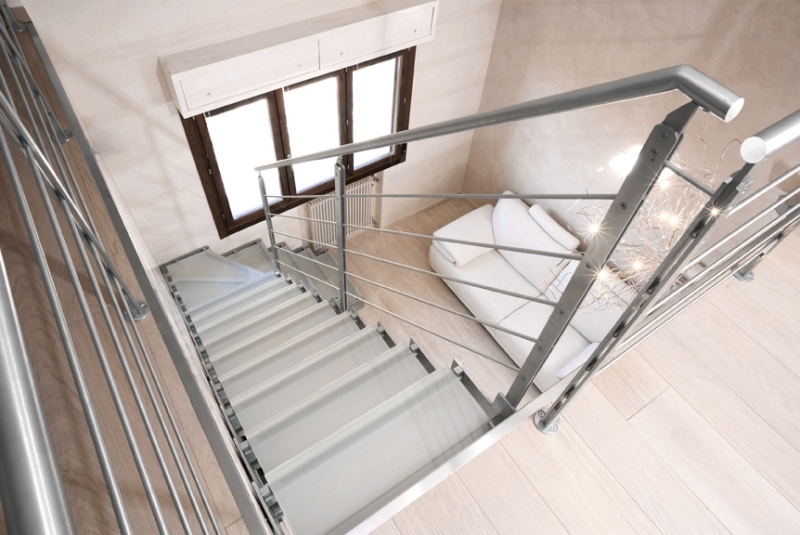 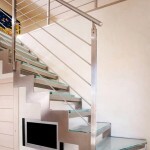 Stainless steel open stair with open riser. 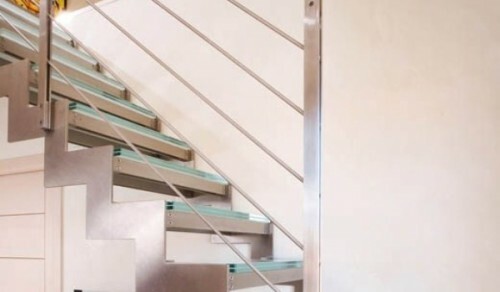 Double load-bearing running structure outside steps made of stainless steel. 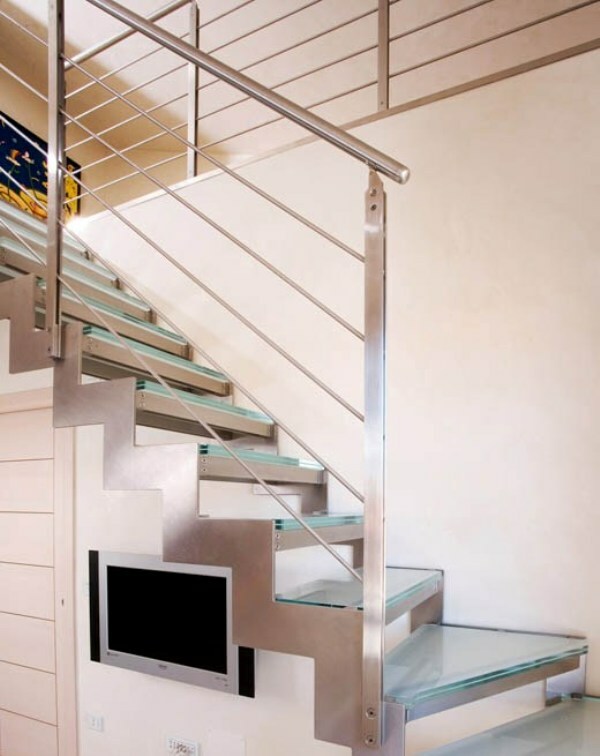 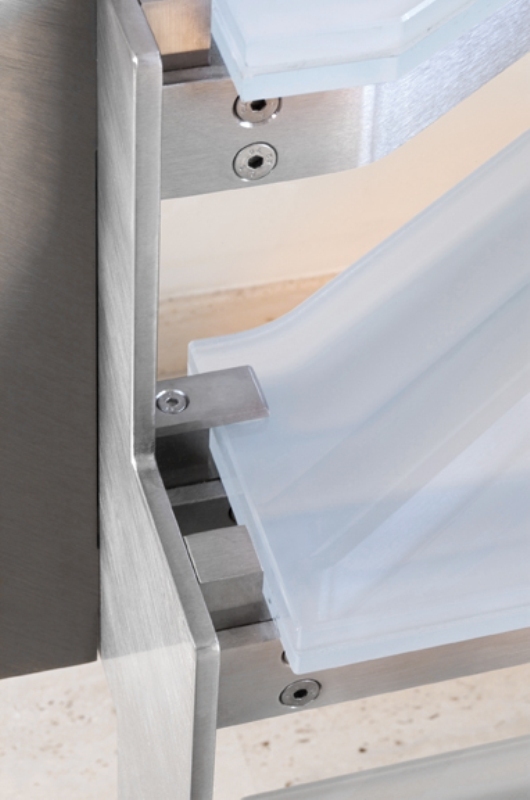 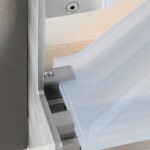 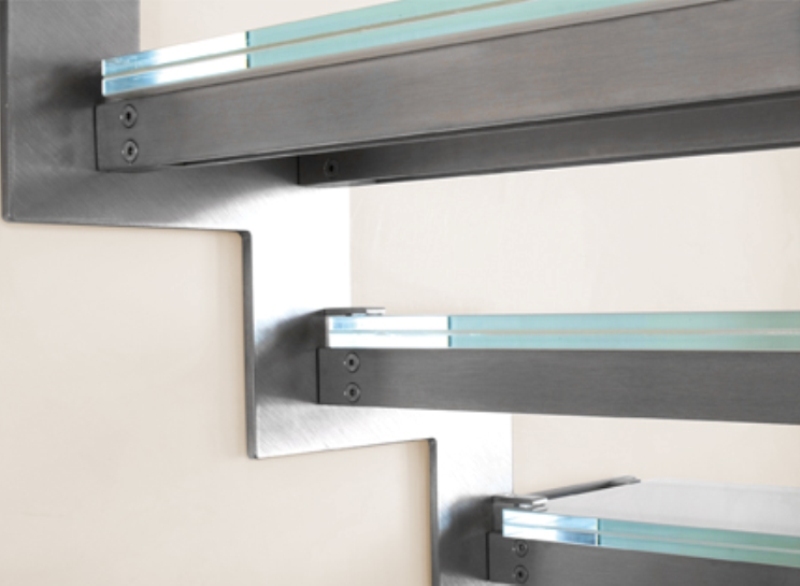 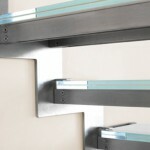 Layered glass tread with no outer frame, supported by beams in double plate.